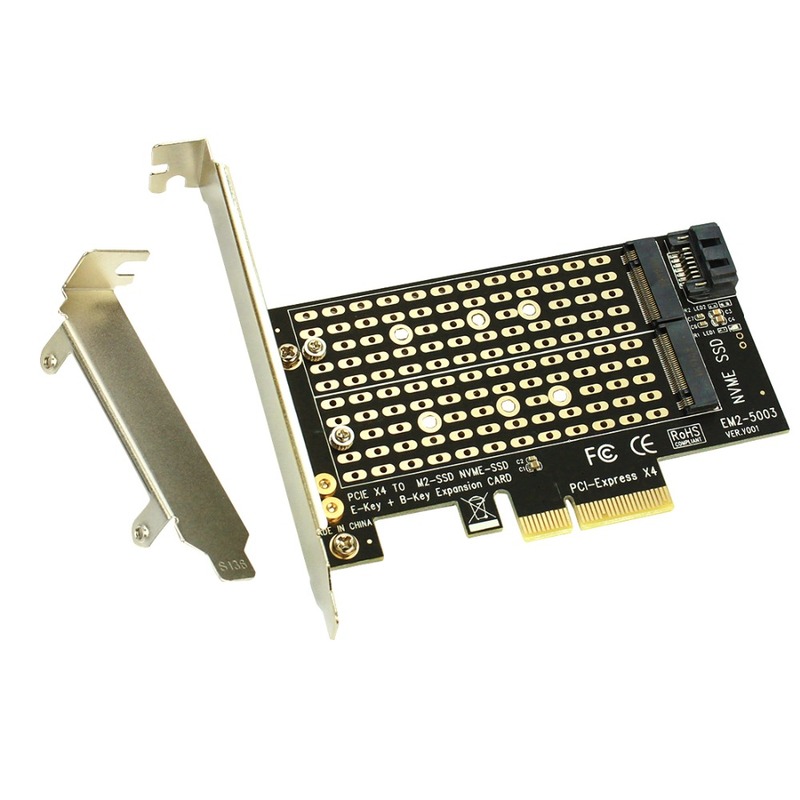 Support system: Windows XP/Vista/7/8/10, Linux, Mac OS. 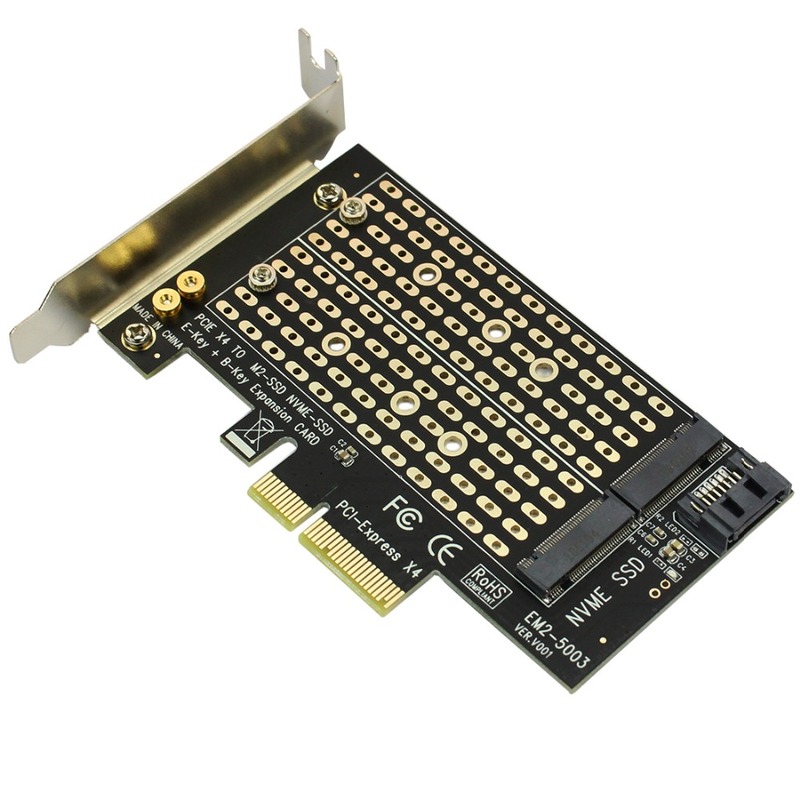 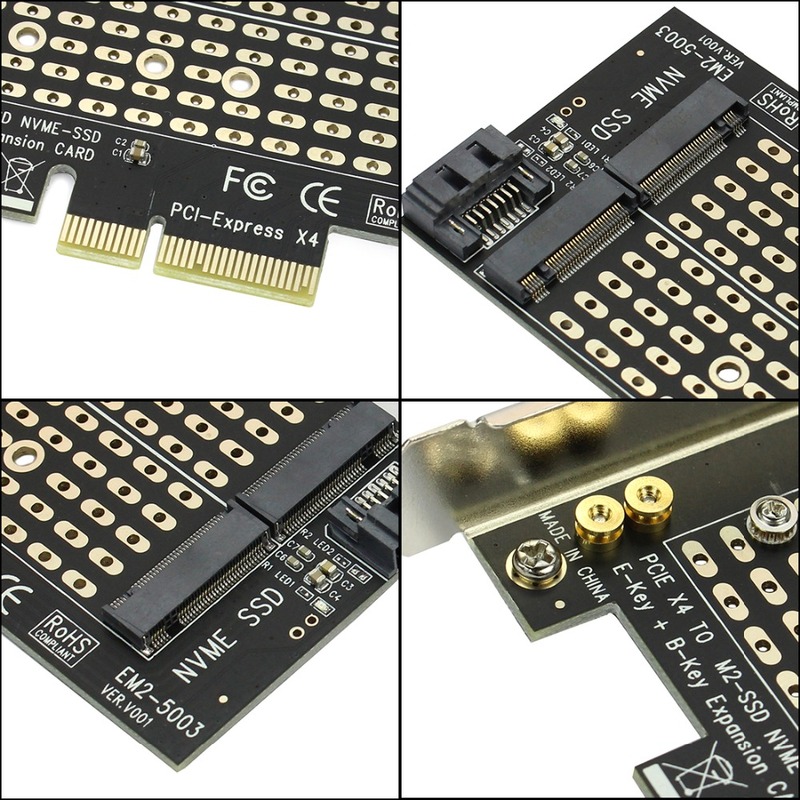 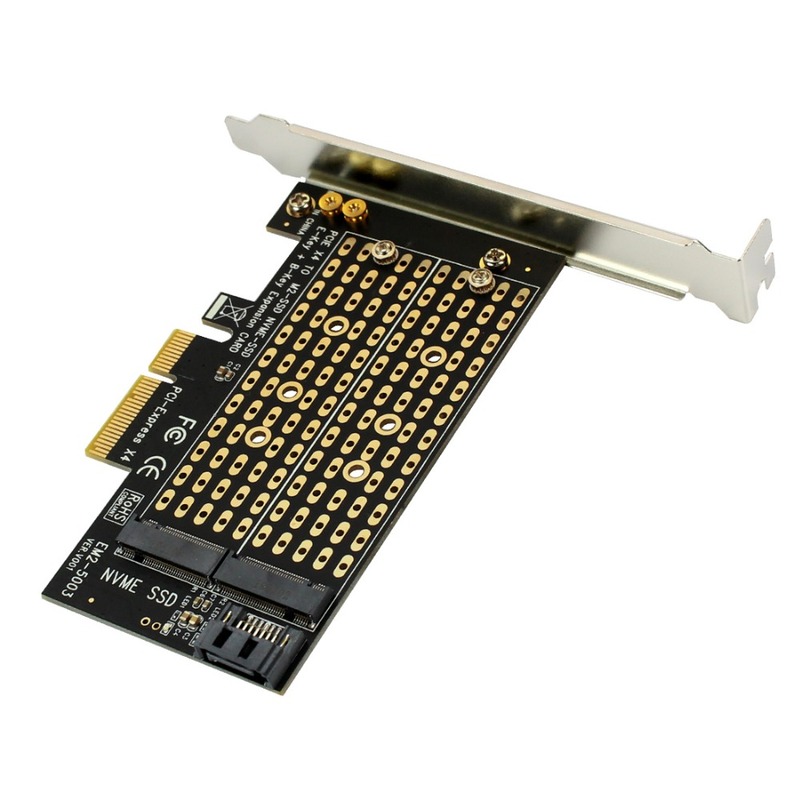 M key M.2 NGFF SSD to PCI-E X4 adapter or B key M.2 NGFF SSD to SATA adapter. 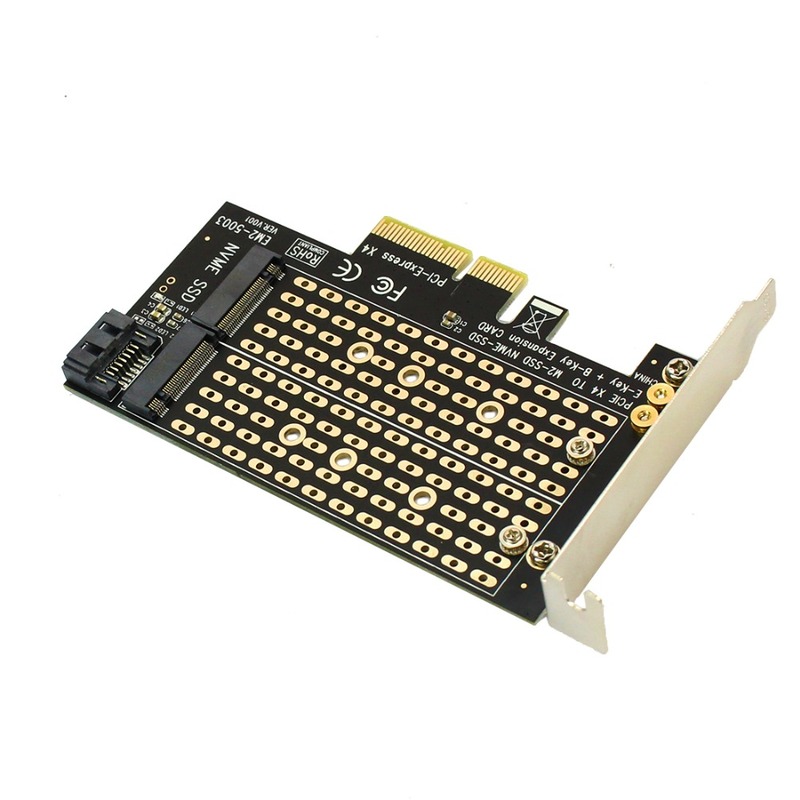 The speed and other properties is not changed, only change the interface type and without any software or drivers. 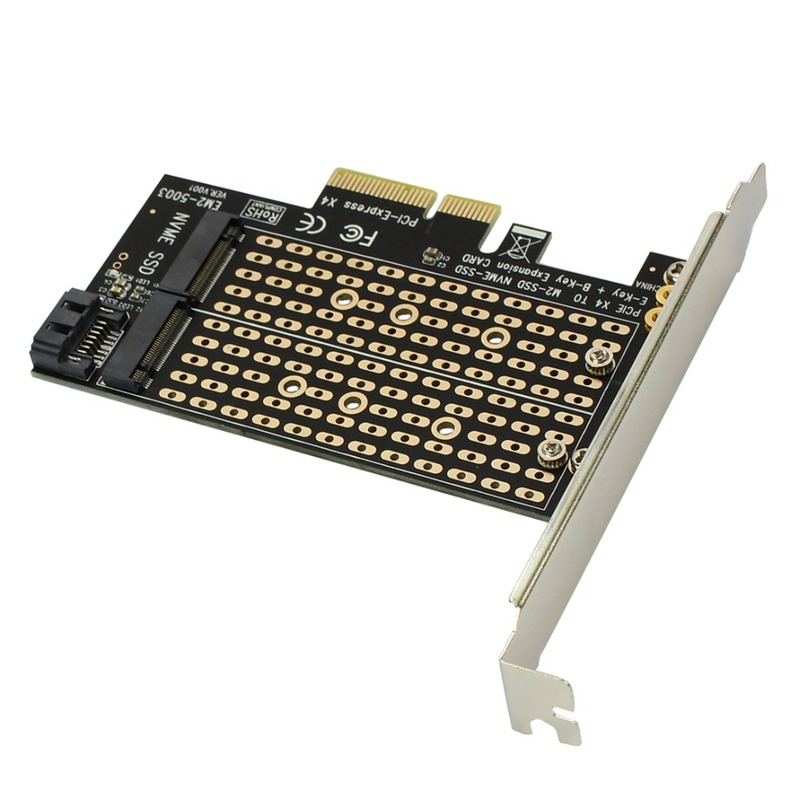 Support size: 22*30 mm, 22*42 mm, 22*60 mm, 22*80 mm M.2 NGFF SSD. 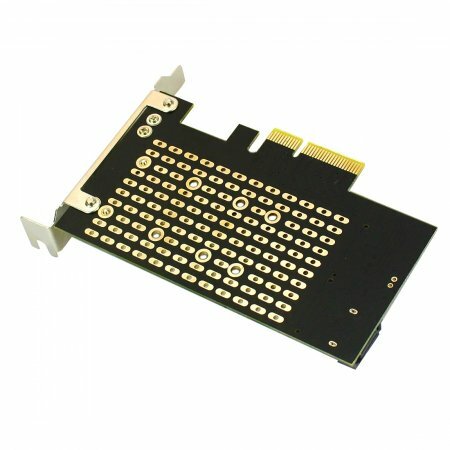 Compatible with any operating system ( On the premise of operating system must be compatible with your hard disk ). 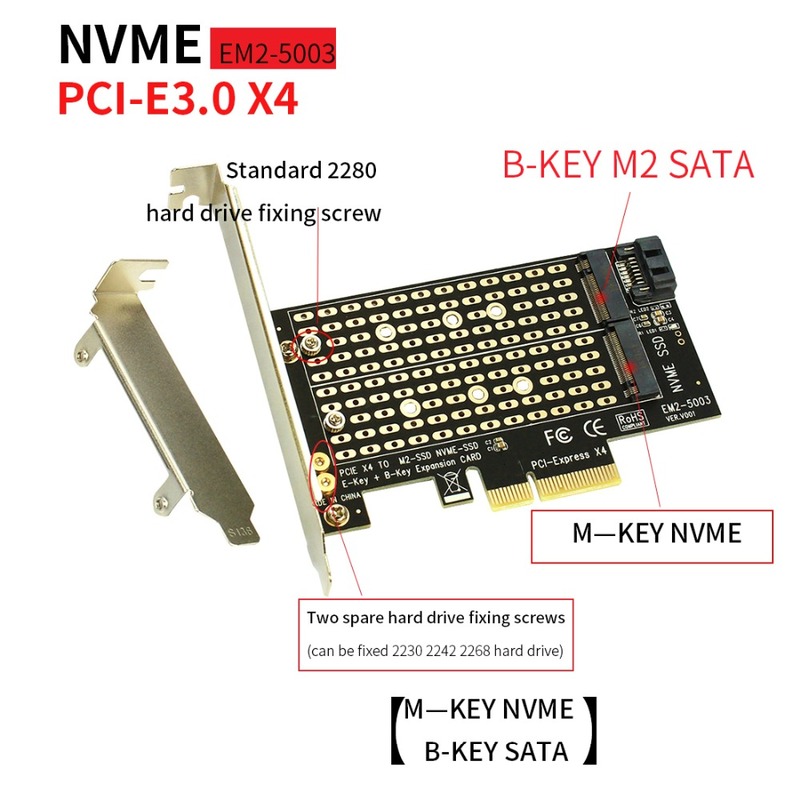 Socket 2(B key 2 LANE):there are SATA(such as THNSNH128G8NT/ THNSNH128GDNT/MZNTD256HAGM models of SSD) and PCI-E 2X(such as PX-AG128M6E/PX-AG256M6E/PX-AG512M6E/SD6PP4M models of SSD) two different transfer mode. 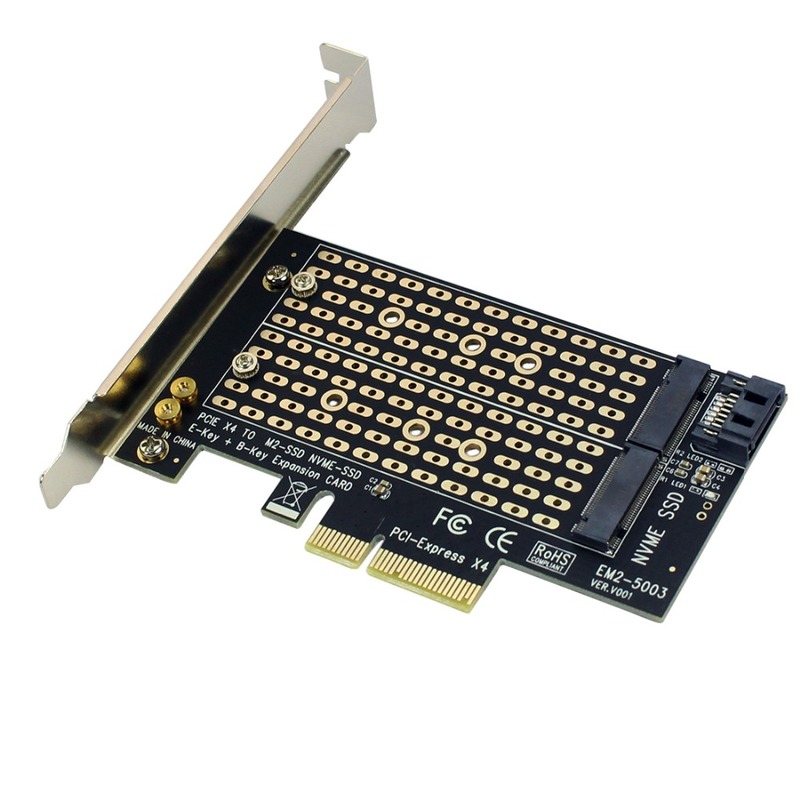 Socket 3(M key,4 LANE):PCI-E 4X(such as MZHPU128HCGM MZHPU256HCGL and MZHPU512HCGL models of SSD) transfer mode.